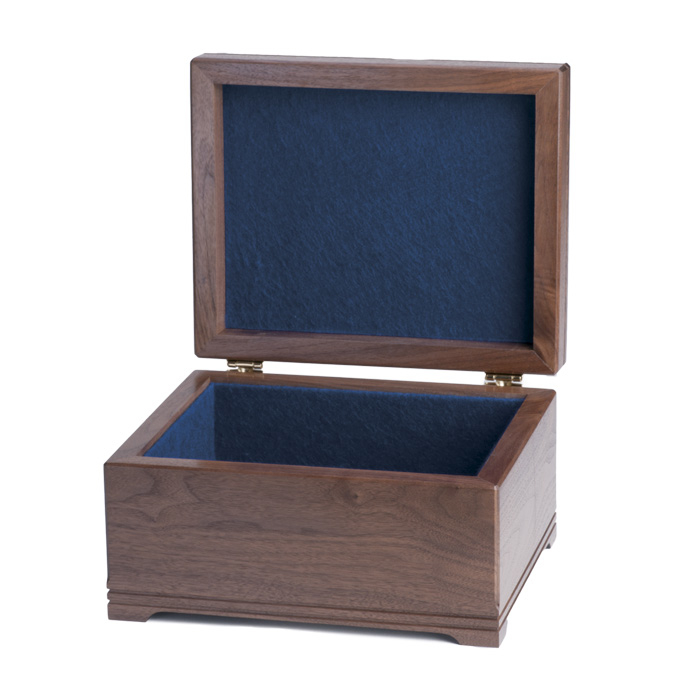 The distinctive Memory Box, made of solid American Walnut, is fabric lined and features solid brass hardware. It becomes a treasure chest when filled with a loved one’s precious memorabilia. 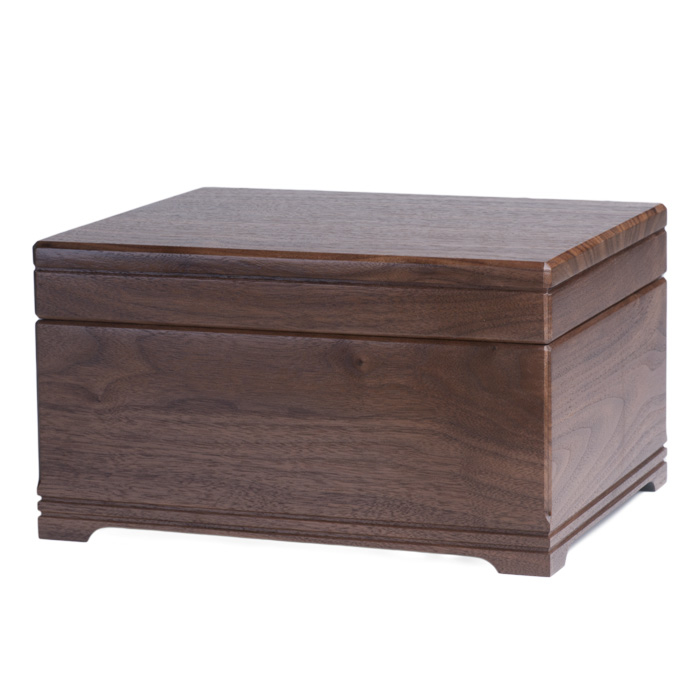 With optional personalization on the top, the Memory Box will be cherished as a special and practical tribute for years to come.